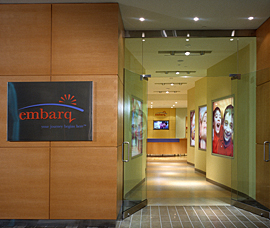 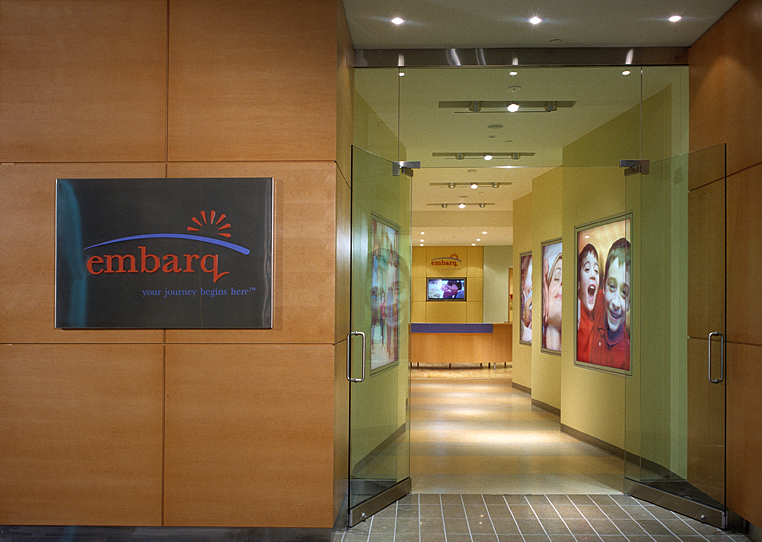 With ever-increasing demands on consumers’ time, Embarq was developed as part of a unique customer-relationship program by Cadillac Fairview to increase shopper satisfaction. 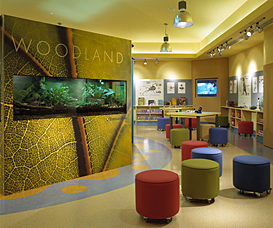 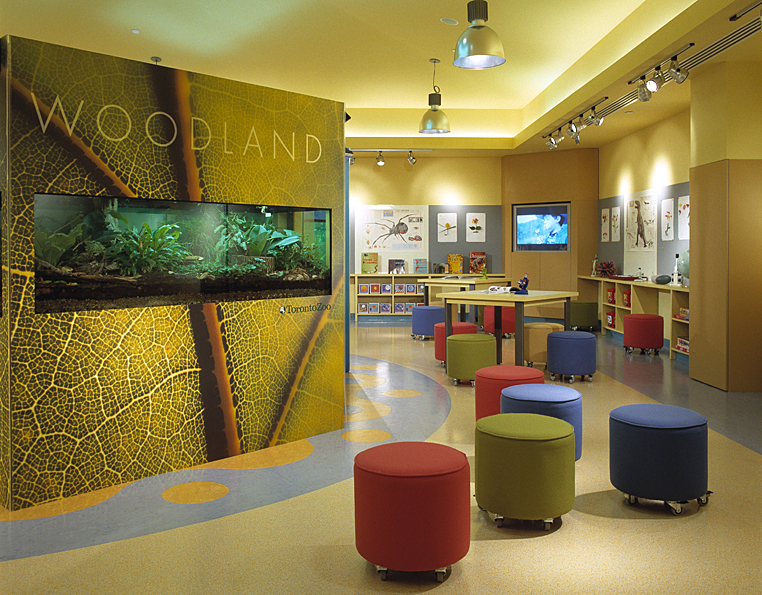 By offering a relaxing lounge and amenities for adults and activities area for kids, an inviting retreat has been created for shoppers and their families. 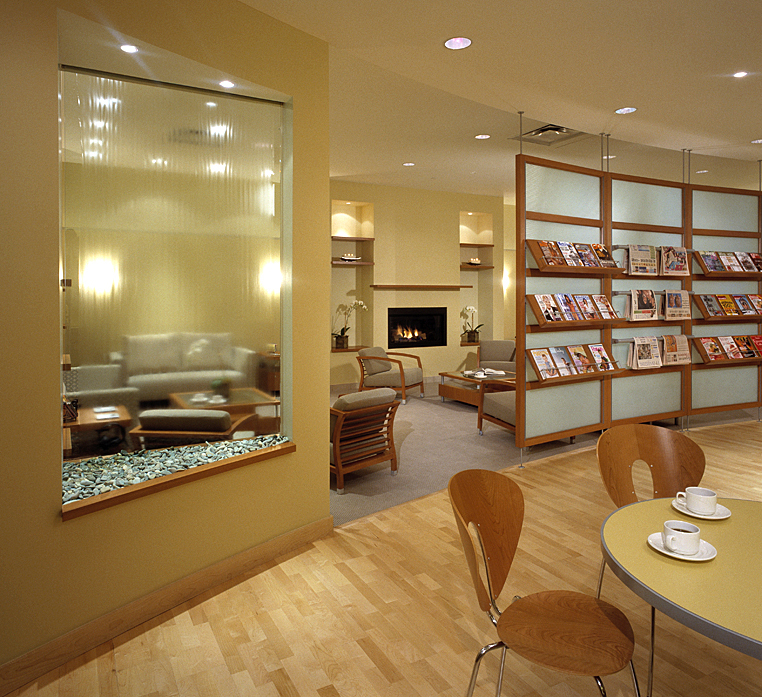 Complete with soothing waterfalls, comfortable furniture, welcoming fireplace and dedicated kid’s areas; the design of the lounge and amenities conveys both relaxation and stimulation while addressing security concerns. 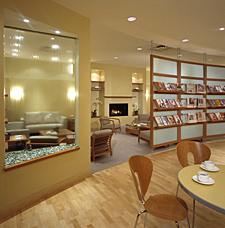 Through a keen awareness of the users’ needs and meticulous attention to detail, a calm and welcoming respite has been achieved, which allows busy moms a pleasant, convenient, and guilt-free shopping experience.